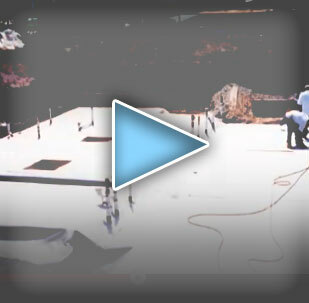 H&R is changing the way we think about the resurfacing industry for superior results. H&R promotes an injury-free environment and provides the safest workplace possible. H&R will provide you with a FREE waterproofing estimate in advance. So be sure to call today. Quality H&R is changing the way we think about the resurfacing industry for superior results. Safety H&R promotes an injury-free environment and provides the safest workplace possible. Selection H&R will provide you with a FREE waterproofing estimate in advance. Relentless pursuit of full 100% customer satisfaction. Using the highest quality of products. Constantly reducing our costs to maintain reasonable prices. Continuously familiarizing ourselves with new related products. With hundreds of thousands of square foot waterproofing experience behind us, you’ll be sure to come out with the best products available at prices that will fit into your budget. Who is H&R Construction and Surfacing, Inc.
H&R Construction and Surfacing, Inc. is a well-established waterproofing and surfacing company. We have been conducting business for over 20 years, and at H&R Construction and Surfacing, Inc., we strive to provide our clients with the best solutions for their Waterproofing and Surfacing needs, employing skilled professional personnel, and installing the most advanced and highest quality products. H&R Construction and Surfacing, Inc., also specializes in the waterproofing application of Shortcrete, poured-in-place, CMU-Block Foundation, Site Retaining Walls, Elevator Pits, for below-grade structures. We also install waterproofing below the basement foundation concrete structural slab of commercial parking structures, garages, basements, guesthouses, apartment complexes, condominiums, and town houses as well as the installation of methane gas and water table barrier membrane systems. We incorporate and use the best and most advanced waterproofing systems applications available, and our professional staff is available for each specific condition. We treat every job like it is the future masterpiece of our work catalog. We only use the best quality materiel on your build. We have won multiple customer services awards for our high quality work. With a wide array of projects under our belt, we look forward to all challenges. Why Choose H&R Construction and Surfacing, Inc.
We are leak detection and repair specialists and our main expertise is in surface preparation, application, and installation of a large variety of deck coatings and waterproofing system products available, including finished walking deck surfaces, under topping pavers, concrete slab and tile applications. The products that we use are manufactured by some of the best and most reliable companies in the industry, such as: Mer-Kote, Versa Tile, Excel-Coat, Pacific Polymers, Tremco, Vulkem, Xypex, Vandex, Thoro, AVM Industries, Cetco, Ardex, Neo-Guard, Sika, Scofield, Gaco Western, Concrete Solutions, MiraDri, Carlisle, and Epro Waterproofing Systems. We also offer a variety of patterns and specialize in application and installation of a beautifully finished 1/4″ Stamped Decorative Concrete Surface. As a matter of fact, H&R Construction is one of the FIRST COMPANIES in Los Angeles to offer this magnificent system. The 1/4″ Stamped Decorative Concrete Surface can be installed over existing surfaces of courtyards, walkways, pooldecks, patios, lobbies and on many other interior and exterior applicable surfaces. At H&R Construction and Surfacing, Inc., we are proud of our work and our many years of experience. We strive to perfect our services for our customers, and we help as many clients in the construction industry as possible. We are always interested in offering you a Price Proposal on any project that requires any of the professional services that we offer. H&R Construction and Surfacing, Inc. is a well-established waterproofing and surfacing company. We have been conducting business for over 20 years, and at H&R Construction and Surfacing, Inc., we strive to provide our clients with the best solutions for their Waterproofing and Surfacing needs, employing skilled professional personnel. We incorporate and use the best and most advanced waterproofing systems applications available, and our professional staff is available for each specific condition. H&R Construction and Surfacing, Inc., also specializes in the waterproofing application of Shortcrete, poured-in-place, CMU-Block Foundation, Site Retaining Walls, Elevator Pits, for below-grade structures. We also install waterproofing below the basement foundation concrete structural slab of commercial parking structures, garages, basements, guesthouses, apartment complexes, condominiums, and town houses as well as the installation of methane gas and water table barrier membrane systems. H & R Construction © 2019. All Rights Reserved.